Retail has always been a significant and one of the most dynamic sectors in our industrial setup. Its contribution in augmenting the economic growth can certainly not be ignored. Additionally, the gradual, yet steady transformation of a major part of this sector into an organised setup has revamped the industrial outlook for retail in entirety. Rising consumerism, expanding customer base and an unceasing yearning for further growth, retail is often even termed as one of the ‘most promising' industry sectors. Even in the current scenario, the local organised retail sector is enticing a large number of giant players in anticipation of explosive growth. While there is no denial that organised retail sector is one of the front runners in shaping the economy of any demography, it is crucial to realise the importance of the building blocks which have gone into shaping the present-day organised retail sector. Human resources and its various allied functions have always been a significant contributor in bringing about any such transformation. While organised retail setup is steadily expanding its reach, the corresponding surge in the demand for talent has underscored the need for effective HR practices. After all, HR practices are like the catalysts for enabling any establishment to achieve its organisational objectives. With time, even these HR practices have not remained untouched by the wave of innovation and evolution. This revamp has resulted in the emergence of many best practices, which runs through the very foundation of organised retail framework. HR Practices have moved on from their previous identity of just being an operational and support function, to becoming a strategic partner for the organisations. Moving beyond the regular tasks of managing only the hiring and exit policies, they are now more about innovative prospect profiling, competency mapping, targeted hiring, ingenious methodologies for employee retention, productivity enhancing mechanisms, attrition reduction, industry trend analysis etc. An effective and scientific talent assessing practice wherein a person’s skills, aptitude, strengths and weaknesses etc. are mapped against the pre-set requirements of the role. This practice is intended for increasing the talent hire hit rate. Owing to the competitive industry scenario, talent acquisition has not remained any much less than a war for talent. Though it is challenging enough to find the right people with the desired skill set, however, more challenge lies in retaining a competent workforce. High attrition rate in retail is accredited as a recognized, but inept practice. Best performance work practices are developed to make people plan their future with the organisation and thus avoid their outward movement. Career progression discussions, mentor allocation, internal movement provision etc. 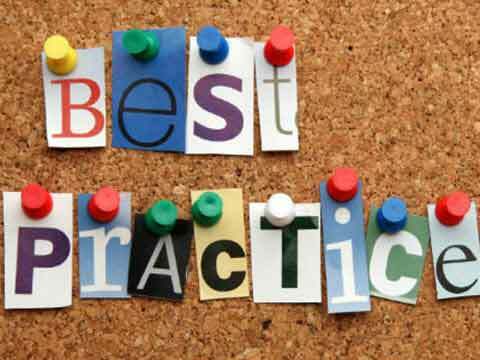 are couple of best practices which are aimed at retaining the talent. Seeming a subset practice of talent retention, training and development is instead an all-encompassing function of HR practices, which is aimed at a holistic growth of each and every employee. Many HR practices have been built around this core task. These practices in a way paves the way for future progression of any organisation, as well as for the entire workforce. Such focused practices also help in aligning the employees with the mission and vision of the organization. Diversity reflects innovation, especially in the retail employee base. Diversity in the workforce ensures a comprehensive and an integrated organisational approach in any situation. Therefore HRs have to take a risk and hire a percentage of workforce from outside the inner sanctum, in order to have the chance to gain insights and knowledge from someone with a different perspective and thought process. This risk and aberration in the regular process is something which brings variation and newness into the system. Several HR programs and policies are developed to ensure a constant identification and nurturing of a diverse workforce. Apart from these, there are several more HR functions which play an extremely crucial role in defining the present-day organised retail sector. These virtuous practices not only enhances the competencies, but also addresses the current and anticipated talent shortfall. Retail is characterised by enormous flux in terms of workforce, especially at the ground-level. With the help of well researched policies and interventions, HRs are able to anticipate the industry trends in advance, timely identify imminent business needs and steadily populate a pool of future-ready talent. Other challenges such as high attrition rate, maintenance of compensation equilibrium etc. are also dealt with the help of these best practices. Retail is no-doubt a sunrise industry and is presumed to have immense growth potential, not only for employees, but for employers as well.